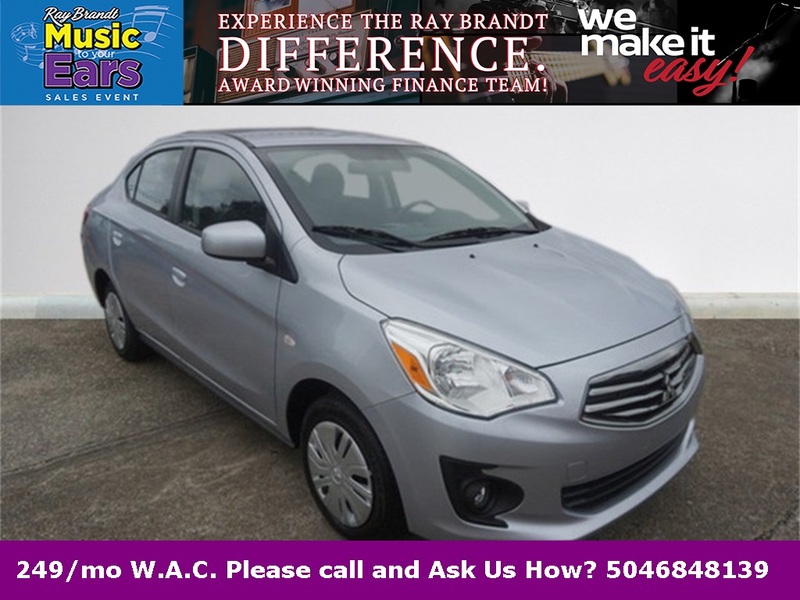 Mirage G4 ES, 4D Sedan, 1.2L 3-Cylinder DOHC MIVEC, FWD, Starlight Silver Metallic, Black w/Cloth Fabric Seat Trim, 4 Speakers, ABS brakes, Air Conditioning, AM/FM radio, Bumpers: body-color, Cloth Fabric Seat Trim, Driver door bin, Driver vanity mirror, Dual front impact airbags, Dual front side impact airbags, Electronic Stability Control, Exterior Parking Camera Rear, Front anti-roll bar, Front Bucket Seats, Front reading lights, Front wheel independent suspension, Illuminated entry, Knee airbag, Low tire pressure warning, Occupant sensing airbag, Overhead airbag, Panic alarm, Passenger door bin, Power door mirrors, Power steering, Power windows, Radio: Display Audio System, Rear seat center armrest, Rear window defroster, Remote keyless entry, Speed control, Steering wheel mounted audio controls, Tachometer, Tilt steering wheel, Traction control, Trip computer, Variably intermittent wipers, Wheels: 14" Steel w/Wheel Covers. 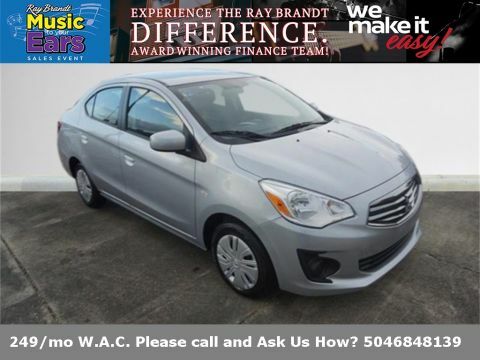 $2,750 off MSRP! Priced below KBB Fair Purchase Price!